A PPO Plan allows you to choose any doctor or healthcare provider. HMO PPO POS Insurance Plans As a member of a PPO (Preferred Provider Organization) plan, you are encouraged to use the insurance company’s network of preferred doctors and hospitals. These healthcare providers have been contracted to provide services to the health insurance plan’s members at a discounted rate. If you choose a none network provider you may pay more for services. You typically won’t be required to pick a primary care physician but will be able to see doctors and specialists within the network at your own discretion. You will have an annual deductible to pay before the insurance company starts covering your medical bills. You may also have a co-payment for certain services or be required to cover a certain percentage of the total charges for your medical bills. 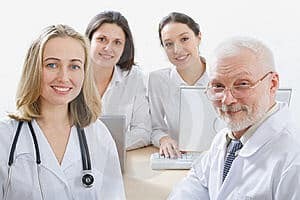 With a PPO plan-Hmo- Pos, services rendered by an out-of-network physician are typically covered at a lower percentage than services rendered by a network physician. choose a primary care physician (PCP). Your PCP will take care of most of your healthcare needs. PPO and HMO Medical plans now cover preventive care services with no deductible or Co-pay. Unlimited Life time benefits an long your health insurance premium is paid. POS (Point of Service Organization) You are allowed to use any provider in the network.If you use outside providers you may have higher deductible and Co-Pays. POS Health Plans save money while providing more access to healthcare providers. If your Health Plan Choice is a HMO or PPO we will provide you with the best health insurance plans that meet your need for deductible, Benefits and price. Hmo,PPO POS Insurance Plans Florida, Health care.gov ,HMO type of health plan that require that you use network physican and providers.